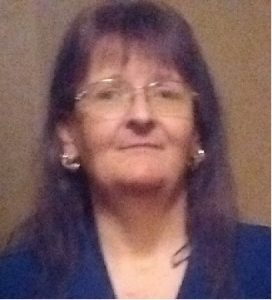 Sedan – Pamela Kay Clark, age 50, of Chautauqua, Kansas, passed away, Sunday, May 13 , 2018 at the OU Medical Center in Oklahoma City, Oklahoma. Kay was born on October 15, 1967, to Milton B. Turner and Velma Mae (Peters) Turner in Kingston, Oklahoma. She grew up in Kingston and graduated from Kingston High School. After high school, she attended Cowley County Community College in Arkansas City, Kansas. On October 23, 1993, she married Timmy Clark in Sedan, Kansas. They have made their home in Sedan and Chautauqua for several years. Kay was formerly employed as a housekeeper and in the laundry department at Pleasant Valley Manor in Sedan for several years. Kay enjoyed spending time with her family, especially her three grandkids; she enjoyed genealogy and sewing. Kay is survived by her husband of 24 years, Tim Clark of the home in Chautauqua, Kansas; three daughters, Carrie Clark of Sedan, Kansas, Cassie Clark of Sedan, Kansas, and Crystal Clark of Lafayette, Indiana; one son, Casey Clark of Chautauqua, Kansas; three grandchildren, Jaden Clark, Damien Williams, and Phoenix Williams; one sister, Joyce Beasley of Kingston, Oklahoma; several nieces, nephews and family members. She was preceded in death by one sister, Wanda Faler, and her parents. Graveside services will be held on Thursday, May 17, 2018 at 2:00 p.m. at the Oak Hill Cemetery in Chautauqua, Kansas with Pastor Mark Davis of the First Baptist Church of Sedan officiating. Love and prayers for each of you,Kay will truly be missed,as a fine lady she was,just thankful she is free of sickness and pain. Aunt kay was loved and will be missed by many. I can only imagine the shenanigans her and my mom are getting into in heaven. Prayers for peace and comfort. Kay was a great person and will be missed.